In the 40 years since Tommy Chong and Cheech Marin lit up our screens in their breakout stoner comedy hit, Up in Smoke, marijuana has gone from a punchline to a $10 billion (legal) business. And at 80 years old, Chong is still very much at the forefront. 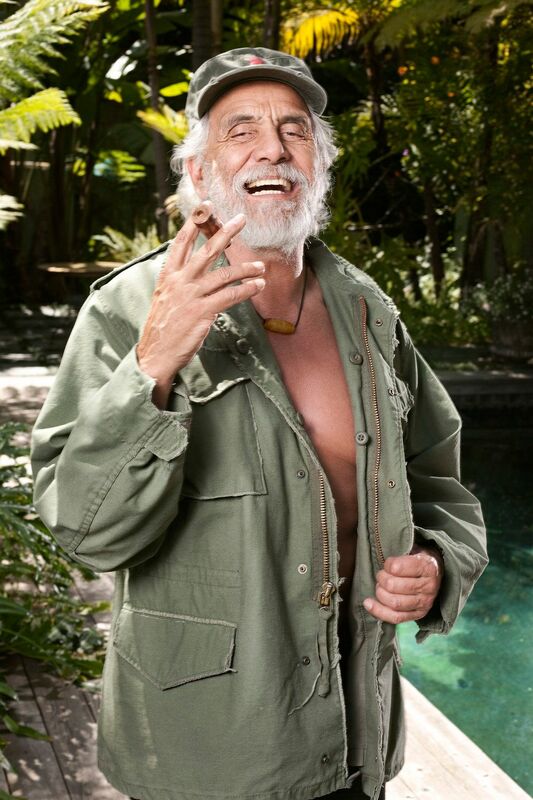 Along with his decades as an actor and comedian, he's also been a tireless advocate for marijuana reform (influenced, in part, by a prison stint he served in 2004 after he was arrested shipping bongs to Pennsylvania); a promoter of the plant's numerous medicinal benefits (some of which he credits with helping him fight a 2012 prostate cancer diagnosis); and, most recently, a "potrepreneur." Along with his son, Paris, and business partner J.P. Cohen, Chong's started Chong's Choice, a brand he describes as operating more like distributors who find the best pot growers have on the market and then sell it to stores. They also have rigorous quality control, he says, a process that Chong, naturally, makes sure to be involved in first-hand. "We make sure our brand is tested by myself, by other and by labs. We make sure the pot we sell is clean and has no insecticides that would hurt anybody. It's medicine so it has to be pure." Their products include pre-rolled joints, an 1/8th flower jar, THC oil cartridges and THC breath strips, available in stores throughout California, Colorado, Oregon and Washington. Lately, Chong's been busy doing appearances to promote the brand and, of course, sampling the goods. Even after all this time, his enthusiasm for the herb hasn't dimmed. "There's so much pot out there now and it's all good," he says. "I've never really smoked a bad joint — even the worst [joint] is better than none." He's similarly magnanimous when it comes to chatting about the politicization of pot. Though he laments politicians and special interest groups in both the U.S. and Canada gumming up legalization processes (Canada is poised to federally legalize recreational use sometime this summer though a bit later than the July 1, 2018 date Prime Minister Trudeau had originally promised), he says he'd still be down to pass around a joint with some of pot's biggest adversaries. "I'll light up with anybody," he says. "I'll light up with Jeff Sessions. I'd love to light up with Donald Trump. Because [pot] is a medicine and these [politicians] are sick and once they get their medicine, they'll be better." Catch Cheech & Chong on tour this month — see dates here.